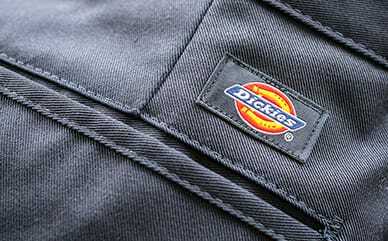 Keep warm in the fall and layered in the winter with Dickies Pro™ Glacier Extreme Puffer Vest. Made with Thinsulate™ insulation for tremendous warmth without the bulk, this vest is one of a kind. Designed to keep out the cold, the interior fleece collar is soft and warm, while the adjustable bungee hem and elastic cuff binding keeps the weather out. Rain is also no match for this vest, featuring PU coating and Durable Water Repellent technology. The weather-worthy vest is full of utility, starting with the exterior lower pockets with zipper closures. It also has interior pockets with zipper closure and a media port, plus an interior storm flap to up the protection level.